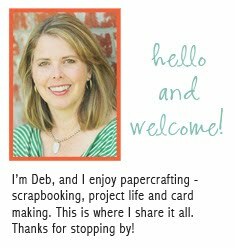 I have many years of unscrapped memories since I quit scrapbooking for an 11 year period (my about me section explains why). Since I only have a few layouts from the years when Alec and Mason were little, I decided to start a handbook to document those years. I'm going in random order and just working on it as I have time. The Atlantic collection from Studio Calico is so lovely with its soft colors paired with navy and fun embellishments like cork arrows and vellum die cuts. Here are three handbook spreads I put together recently. 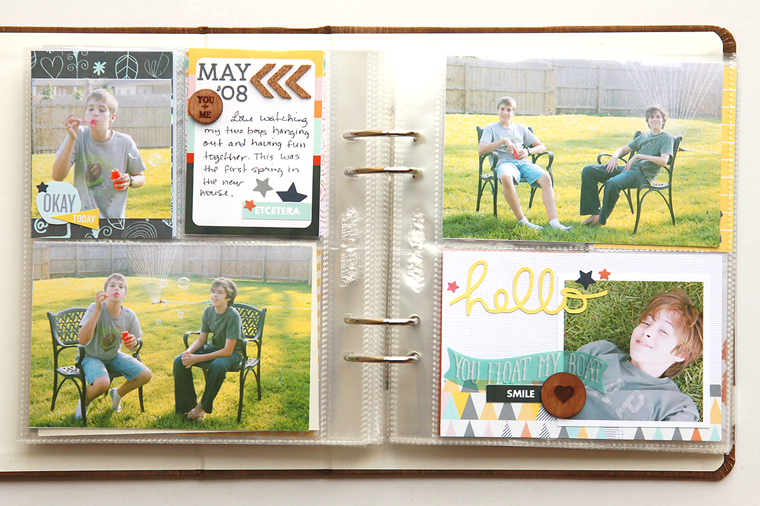 It's so much fun working on these pocket pages that are similar to my Project Life spreads, but on a much smaller scale. 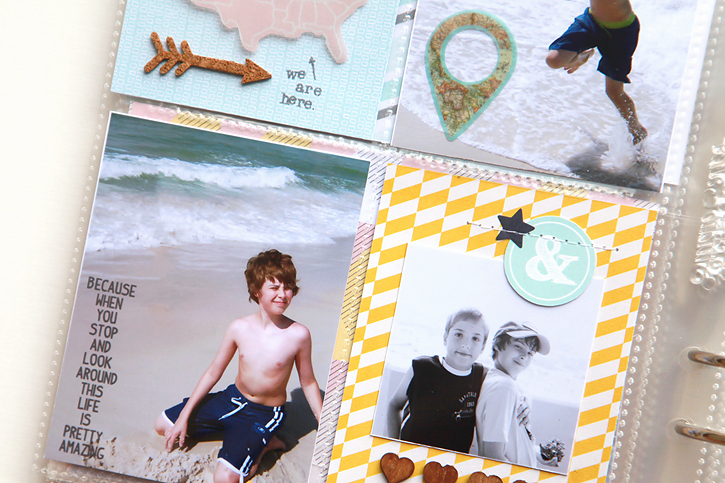 Along with Atlantic, I used some of the printables and cut files available in the digital shop at Studio Calico to complement the Atlantic collection. This one documents a trip down to see Louisiana's only inhabited barrier island, Grand Isle. I love the way the black and white photos complement the soft colors from Atlantic. 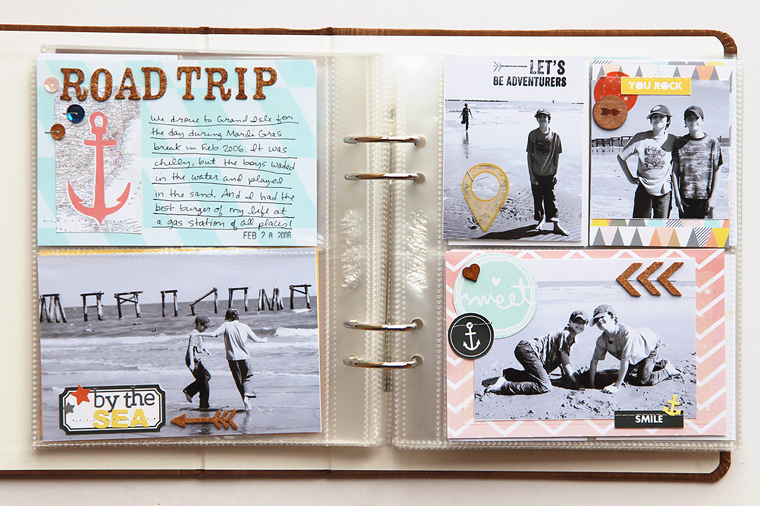 Here I documented a trip to the beach back in 2008. And this one is about some backyard fun. 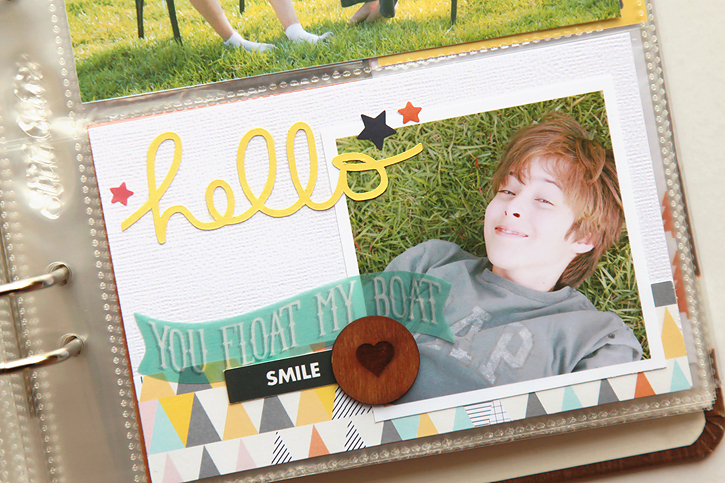 The "hello" is from a cut file available at Studio Calico to complement the Atlantic collection. I know the handbook binders are currently sold out at Studio Calico, but new styles are being released soon at winter CHA so stay tuned! Thanks for the inspiration. 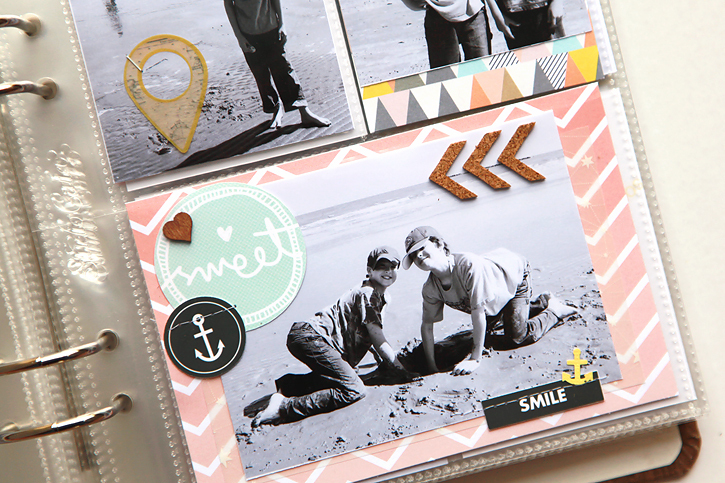 We have several years of beach photos from annual vacations and what a great idea to combine them all in one mini. These are great pages - and how fun that you are going backwards. I need to do a lot of that. 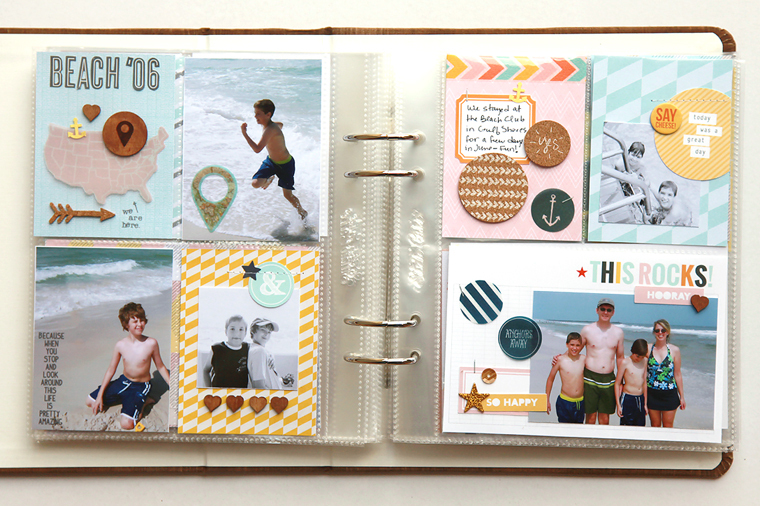 really inspiring to see so many details on small pages without losing sight of your photos! I just ordered some Atlantic supplies from 2 Peas and now I am excited to get them! Thanks for the inspiration! I love how you set these pages up. So many details that pop. Wow! This whole collection is fab. I loved seeing how you used it. You are so creative and I always feel inspired after seeing your gorgeous pages! Love that you are scrapbooking these shots from more difficult years. Your boys are going to have a treasure in these scrapbooks and they are beautiful. this is really really awesome. can't wait for the new SC line to get my hands on some new handbooks! !